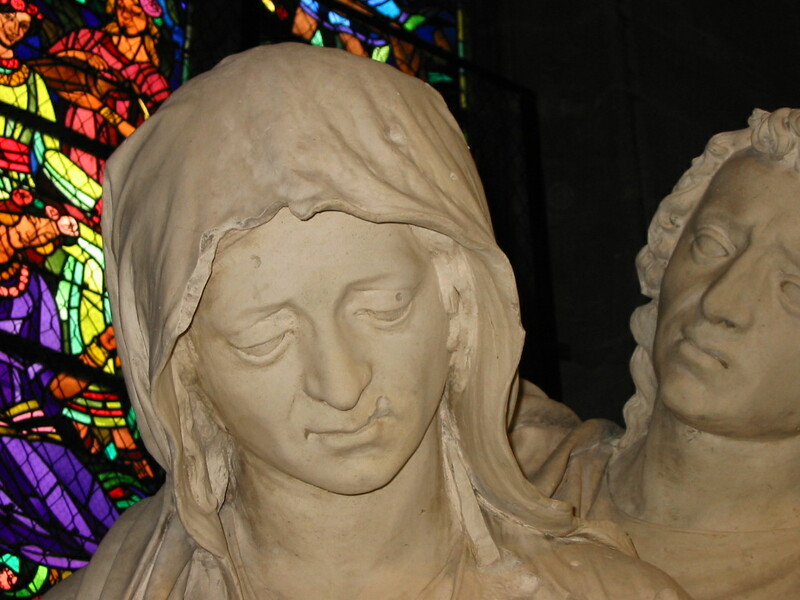 Ligier Richier, a major artist in Lorraine during the Renaissance period, was born in Saint-Mihiel circa 1500. 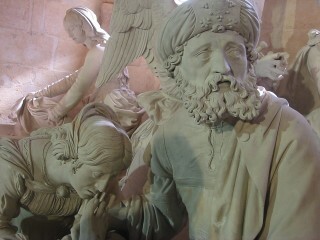 His school of sculpture produced many of the works on display in the region, perpetuating the expertise of the “Master Imagemakers”. Carved in 1532, this work in St. Michael’s Church, originally consisted of nine figures but now has only two. 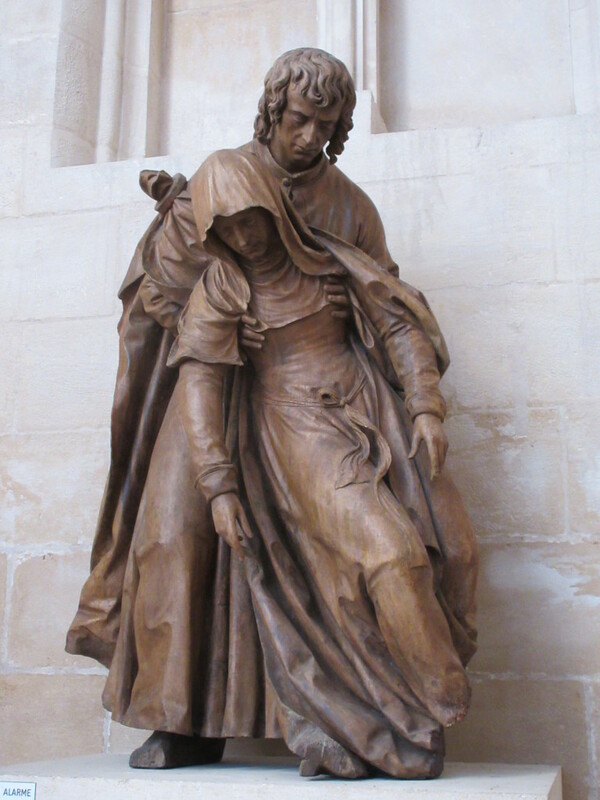 The only “survivors” of the French Revolution, the Virgin Mary and St. John, are carved out of walnut wood and have lost all traces of their original paint. 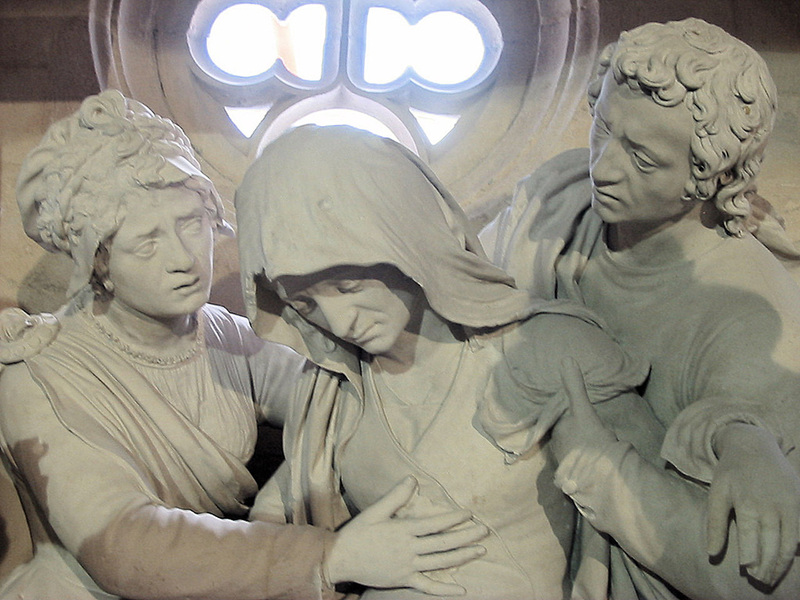 The two figures have contrasting body movements: the Virgin Mary, no longer able to bear the suffering caused by Christ’s death, is collapsing into St. John’s arms while he is supporting the lifeless body. 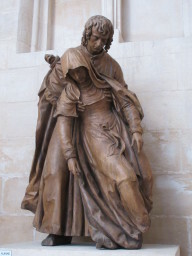 The draping of the clothes and St. John’s hair are carved in a manner typical of an artistic period when great attention was paid to the body and its anatomy. 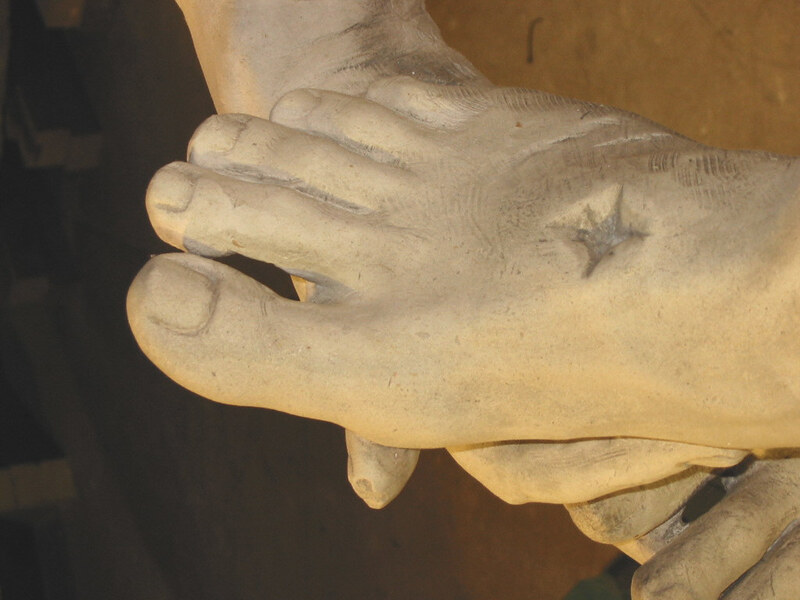 Work on this statue in St. Stephen’s Church, consisting of thirteen figures that are slightly larger than life, began in 1554 and was completed more than ten years later without Ligier Richier, who had become a follower of the Calvinist doctrine and had left France for Geneva. He died there in 1567. Yet this group sculpture, carved of local limestone, is the artist’s major work, touching all those who see it by the pathos in the expressions of the figures standing around the dead body of Christ.